Thomas Quartier (1972) is assistant professor for ritual and liturgical studies on the Faculty of Religion Sciences of Radboud Universiteit Nijmegen. He is also a research scholar in the ‘Refiguring Death Rites’. He recently published “Bridging the Gaps. An Empirical Study of Catholic Funeral Rites (Münster: LIT-Verlag 2007). 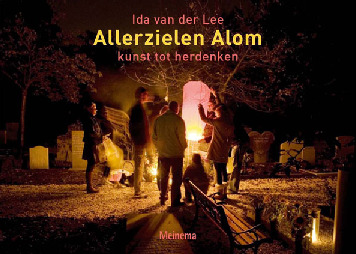 In 2007 he studied Allerzielen Alom within the framework of research into personal religion and changing rituals around death. The questionnaires he distributed to the public produced a treasure trove of valuable information. Thomas Quartier published the results in the book ‘Allerzielen Alom, kunst tot herdenken’. William Arfman studied religious sciences at the University of Leiden, and before that, the archeology and anthropology of Central America. He finished the latter study with research on modern rituals for the souls of the dead in a Mexican village. His current thesis concerns new forms of rituals, for which Allerzielen Alom plays an important role. Sandra Trienekens (Helmond, 1972) studied Social Geography at the University of Amsterdam. She received her Ph.D. in Recreational Sciences at the University of Tilburg in 2004. At the moment she is lecturer in the Master’s programme Media and Journalism in the Faculty of History and Art at the Erasmus University in Rotterdam. 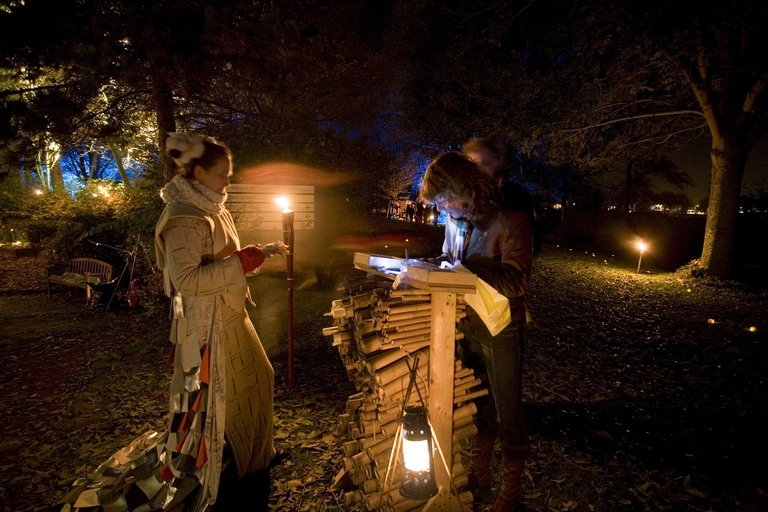 She also conducts research on community art, cultural participation and social cohesion ‘Kunst in het hart van de samenleving’ (Art in the heart of society) at the Hogeschool van Amsterdam. Allerzielen Alom is part of that research. Originally an architect, 15 years active in the media business in Europa and Asia. Since 2004, he has found his inspiration in travelling, reading, learning, meeting people, inspiring and bringing them together. He is active as a concept planer and process cordinator in oder to develop and carry our creative and sustainable concepts for monumental, cultural, and industrial heritage within the country and abroad. He conducts research on the future of death in cities and landscapes, the so-called ritual landscape, and is working on a publication on this theme. Allerzielen Alom will be included in this publication. Here, the word ‘transitions’ refers to large processes of change in society. We look at the role which art plays in society: as a stone in a pond, a mirror/reflection of society, hand-in-hand with the actors (process art), as the source for a new philosophy of life, etc.